Are you looking for a company with tremendous growth potential? Doodle Darlings is plush toys, apparel, an app, but could be so much more. Would you like to promote and grow a brand created by a mom? The Doodle Darlings brand includes plush toys, apparel, as well as an iPhone/Android app, but it doesn't have to stop there. Imagine the possibilities. 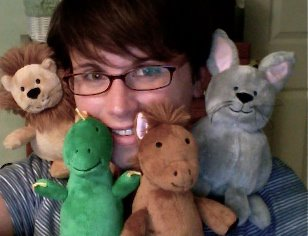 I have an promotion with Zulily to sell my plush toys and onesies. I also have a prospective buyer for a major retailer interested in my plush toys. What I need to make the deal a success, is a solid business plan and financial backing. I am a stay at home mom of my four-year-old daughter. I began Doodle Darlings from simple doodles. The doodles became designs for children's apparel, as well as a plush toy line and an app. I am currently selling my products through an on-line store, but I'm hoping to branch out into retail stores. What I need is a business mentor as well as an investor on my team. I believe my business has great potential but I need assistance to make it happen.